My habit of tapping out words for this blog has been stymied of late because me and Littlejen have been searching for somewhere to live – but now, with issue five of Simpson magazine landing on the doormat of our lovely new home, I have finally found the time and a good reason to turn my attention back to you, the kind reader who allows me to indulge in this blogular folly. 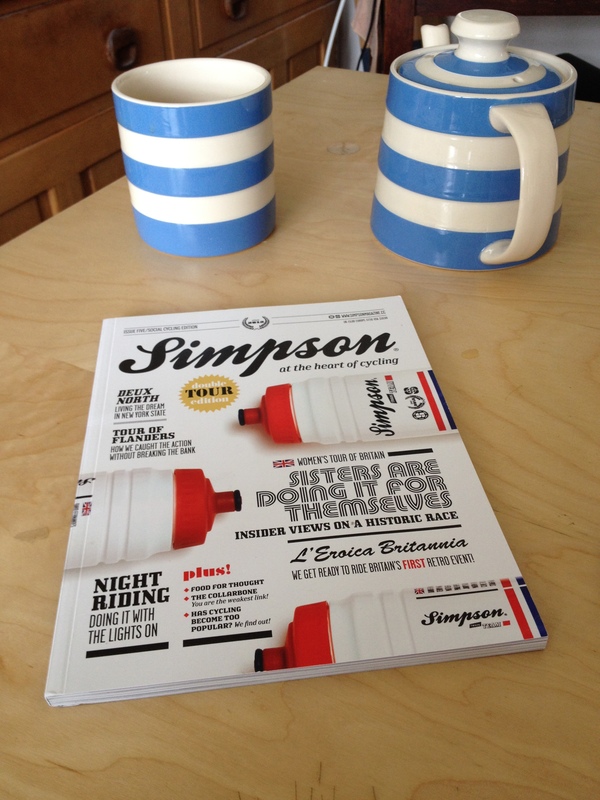 More specifically, I would like to draw your attention to pages 60-62 of Simpson which feature a piece on Kingston Wheelers cycling club, written by me. Basically, I went for a ride with them, had a jolly nice time and then wrote about it. The pictures are great, and the magazine has been getting better and better with every issue. It costs six quid, and you can order a copy from their website. I’d like to do more of these sorts of breezy articles on club rides because I think more needs to be written about the culture of cycling clubs and the idiosyncrasies of riding with them – that peculiar social dynamic that occurs when riding among good friends and total strangers. So if you’d like me to cover your club, email me at dancehippocleides at mac dot com or tweet me. 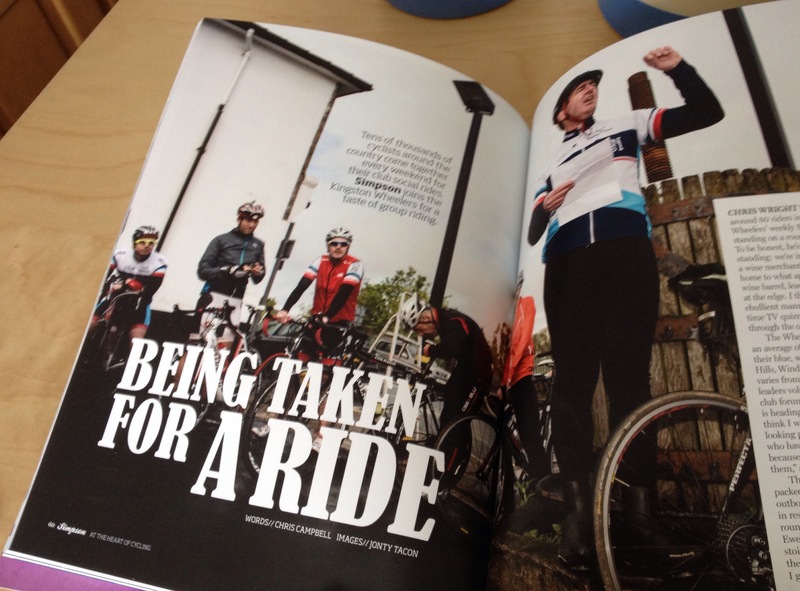 Let me ride with you and write about you, cycling chums! This entry was posted on	July 11, 2014 at 1:01 pm	and is filed under Uncategorized. But did you meet your KW namesake? I think I should let him reveal himself to me. I’ve read enough Nabokov to know that if you go looking for your double, you will eventually lose your sanity. Gibber. One day. Its inevitable Im sure. So that’s a third Chris Campbell. We really should form the Chris Campbell Cycling Club – CCCC.